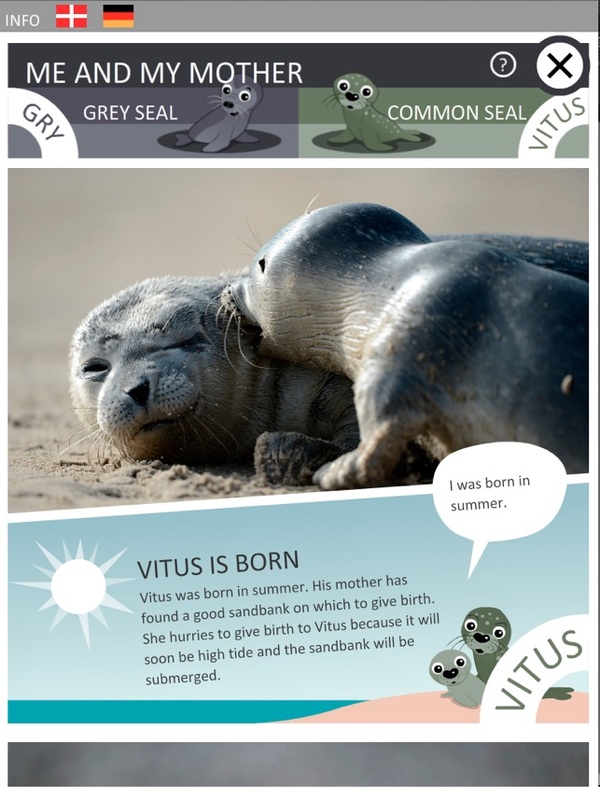 Gry and Vitus - Seals at play - is about the life of two seals in the Danish Wadden Sea. 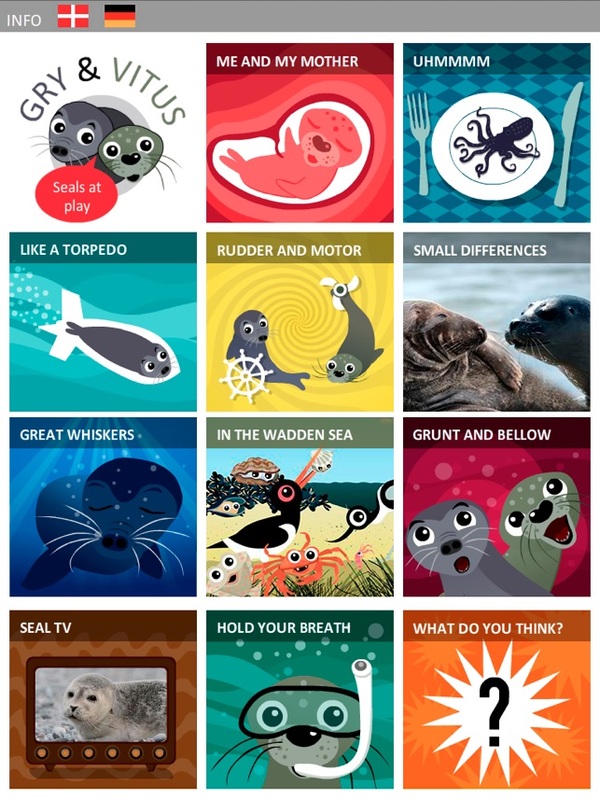 You will learn a lot about the seals’ life via 11 fun little interactive activities. 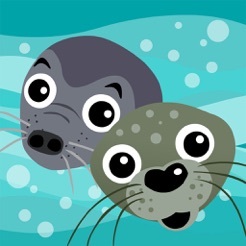 You can explore the seals’ great whiskers, see how long they can stay submerged in the sea, and see if you can hear the difference between a seal and a pig. 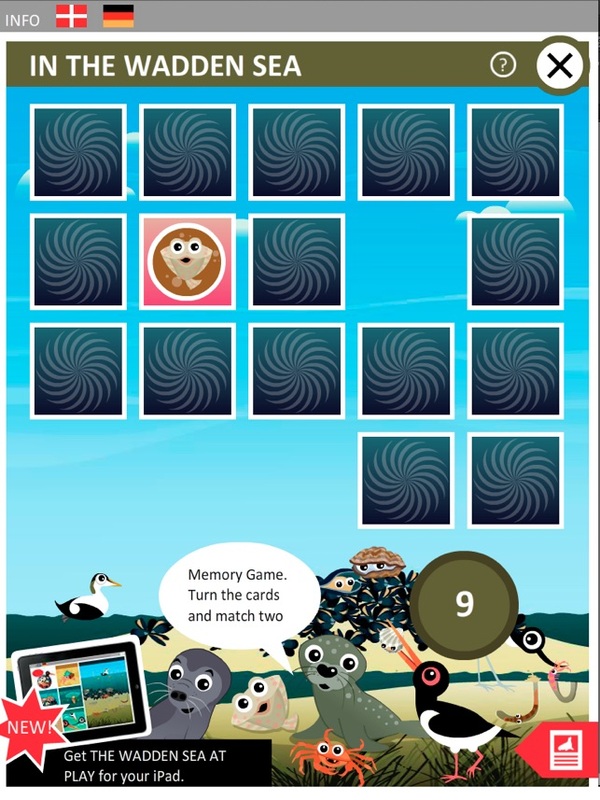 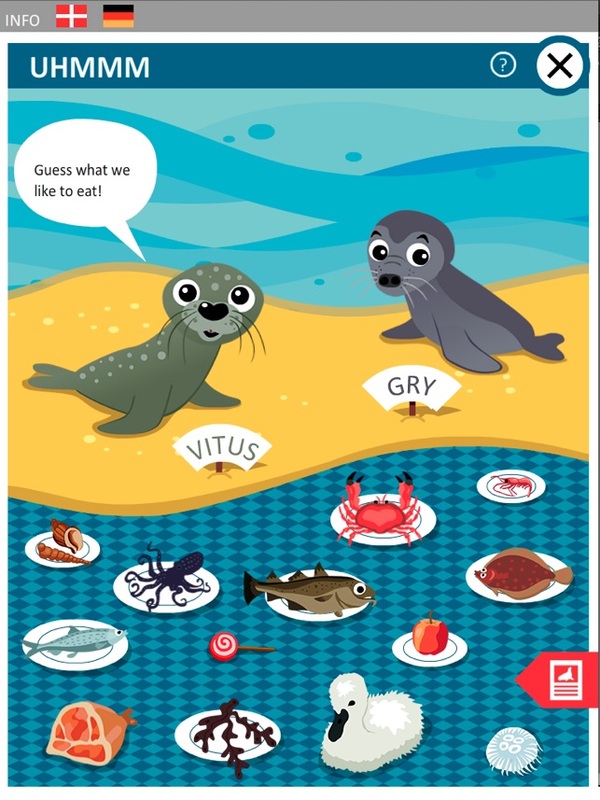 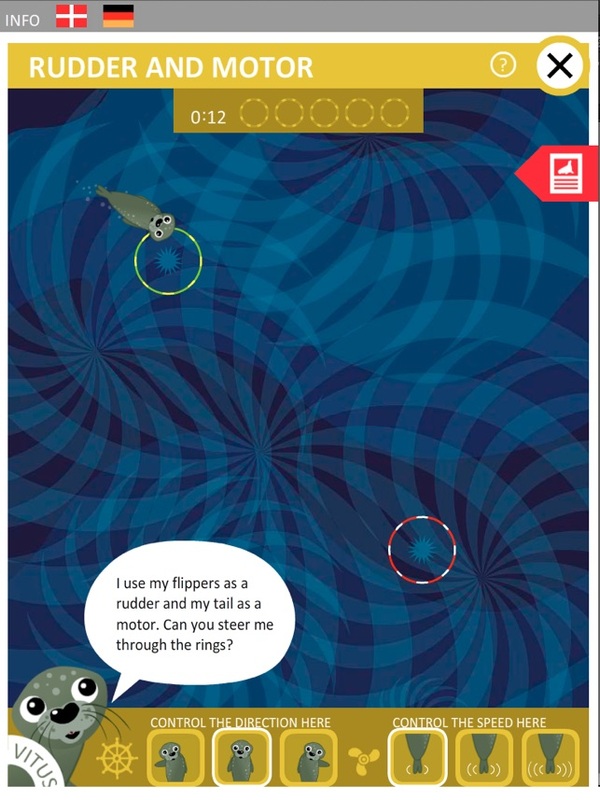 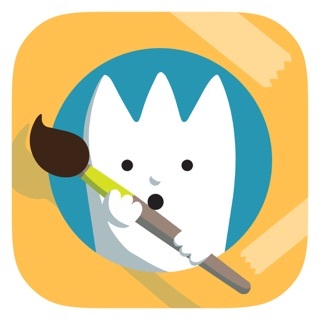 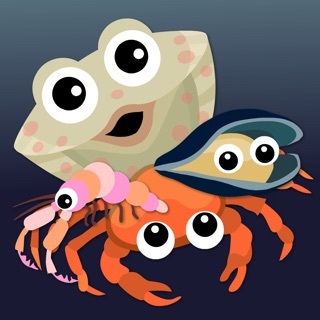 We hope you’ll find it fun to learn more about seals while you play.